Larger versions of the popular JBJ Cubey are now available. 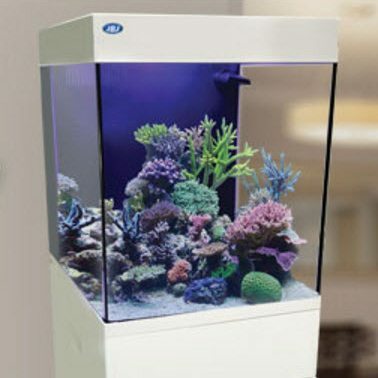 This 15 G All-In-One Cubey comes complete with an integrated dimmable 2-channel LED canopy and white cabinet stand. This restyling of the original Nano Cube was made to suit your current lifestyle. 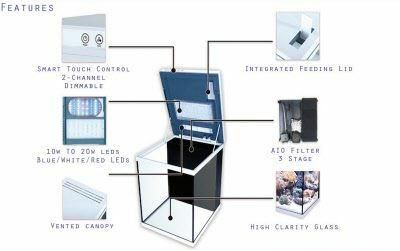 The three stage integrated filtration is very quiet and features a designated compartment for either filter media or heater (heater less than 50 Watts recommended). 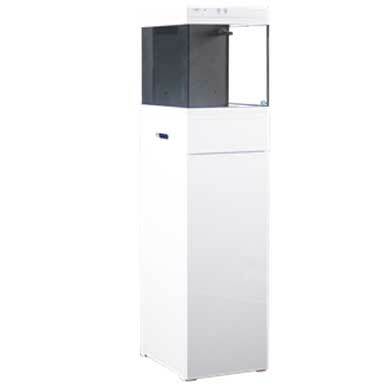 It has a filtration intake grill and media filter sponge to support filtering bacteria growth. The filter comes equipped with a return nozzle chamber that does not obstruct water flow. It features an state-of-the-art ventilation system.